with it's lovely 1996 DateStmp's. But Windows XP runs fine! Why do we need to update just because Microsoft says it's end of life? Besides, nobody will recognize that error message. And we'll have to retrain the help desk. But but. 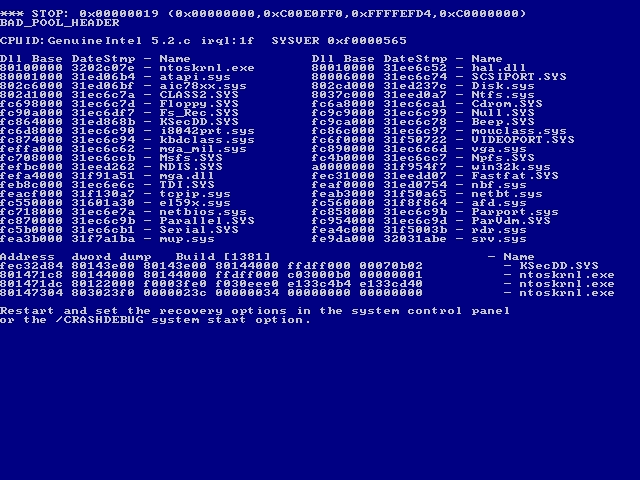 I LIKE THE CLASSIC BSOD! CHANGE IS BAD! 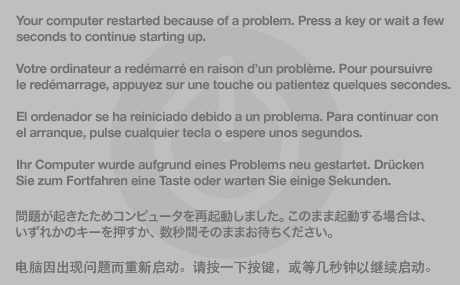 Old Mac - the bomb restart dialog or sad mac boot fail screen? I recommend faux Google search results asking "is Stack Exchange down", showing a (again, faux) search result of a SO/SF question asking the same. Naturally, the next search result would be the same question on one of the scraper sites. 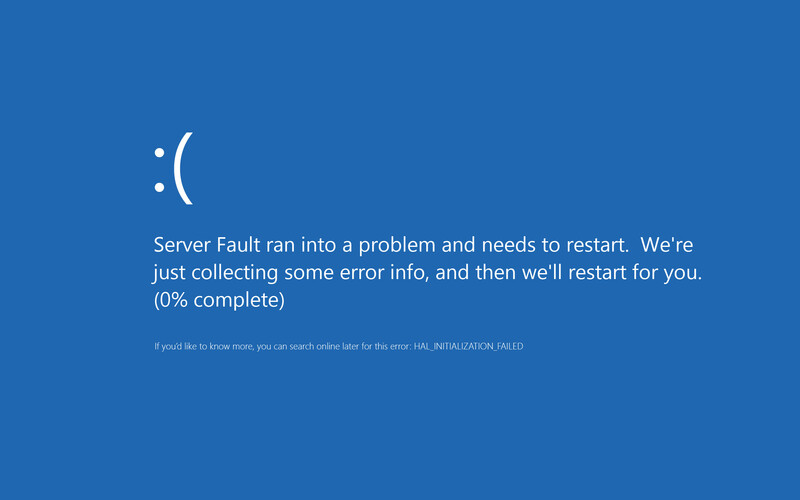 Let me me the voice of change: OH MY GOD I LOVE THE WINDOWS 8 2012 ONE!!! I love it so much that I need more exclamation points!!! Uh, yeah, I'll stop now, but still. Hahahaha! How are feature request questions handled?